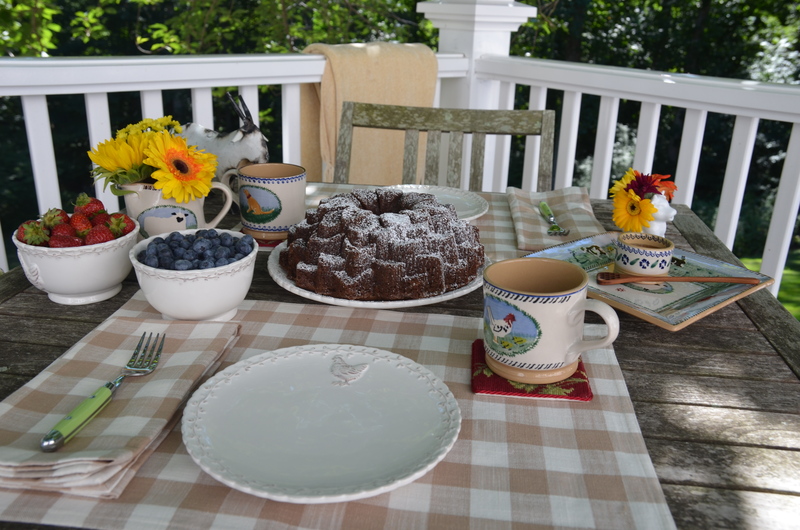 It’s National Bundt Day, a wonderful reason to eat cake! 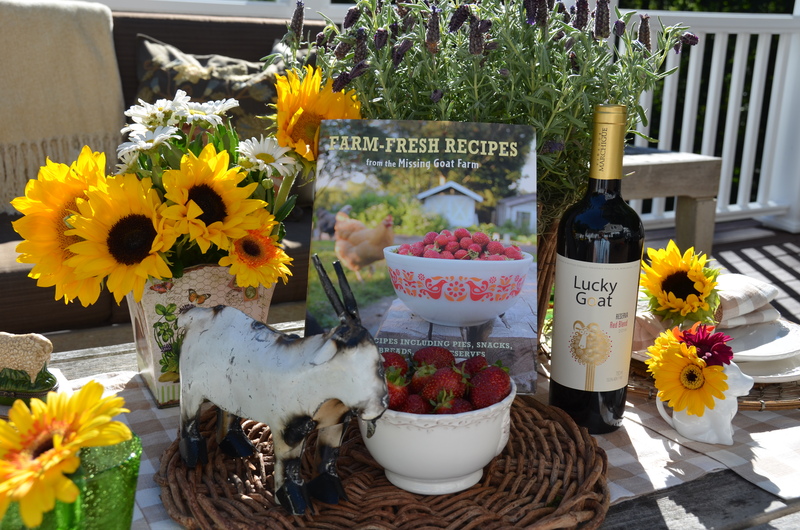 My accidental purchase of Farm Fresh Recipes from the Missing Goat Farm turned out to be quite LUCKY for me as I found several delicious and EASY recipes, and my home decor stash expanded to add this little goat to the barnyard. It includes not only zucchini, but also apple sauce, cocoa powder, nutmeg and cinnamon! 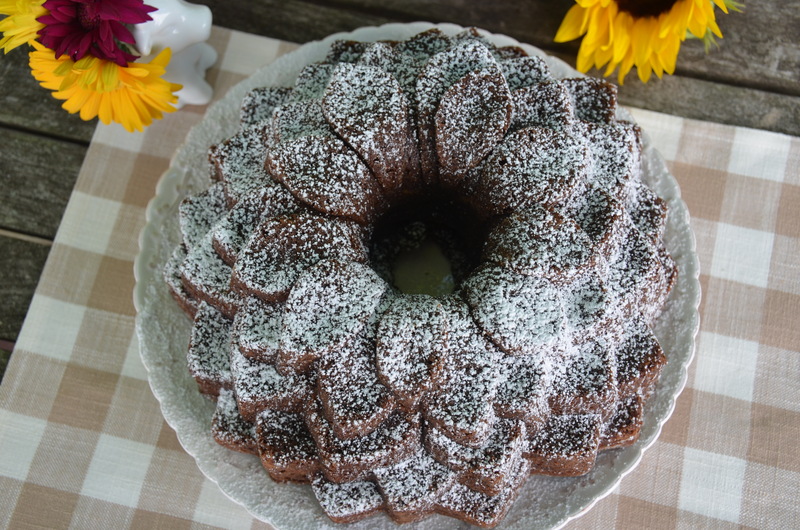 It’s moist and tasty, and can be prepared in a rectangular cake pan or a bundt pan. 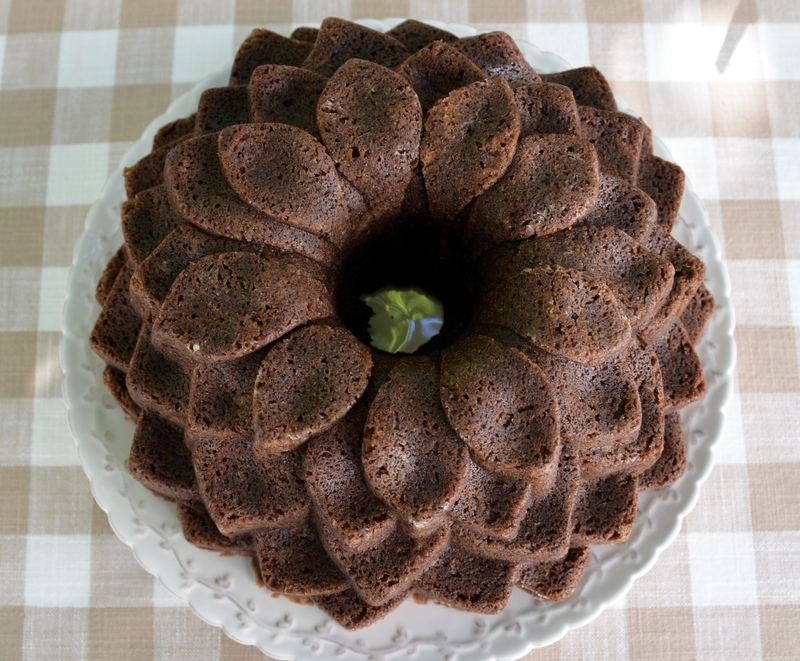 I chose a new pan to me, the Nordic Ware Platinum Edition Blossom Bundt Pan. I worried that all the little crevices would be too many and the cake would stick, but it came out beautifully! What do you think? 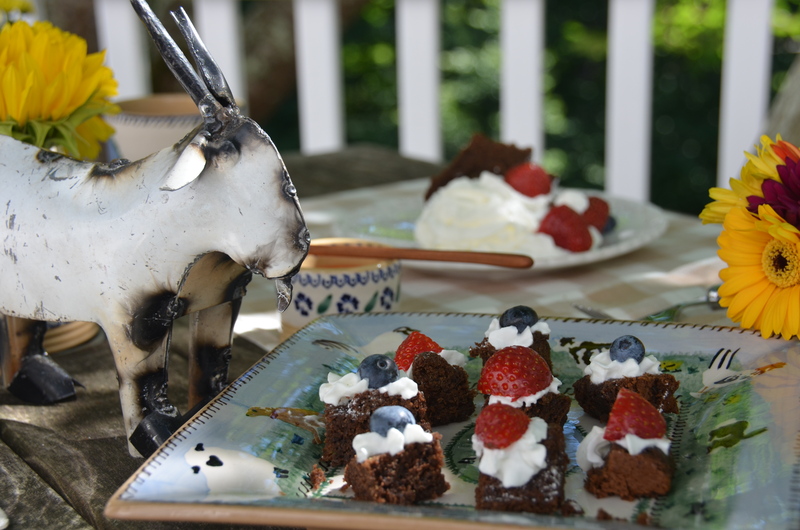 The one problem with bundt cake is that there is no frosting, (my favorite part of cupcakes), so my new goat (I’ve named him Lucky) and I decided to add some sides. 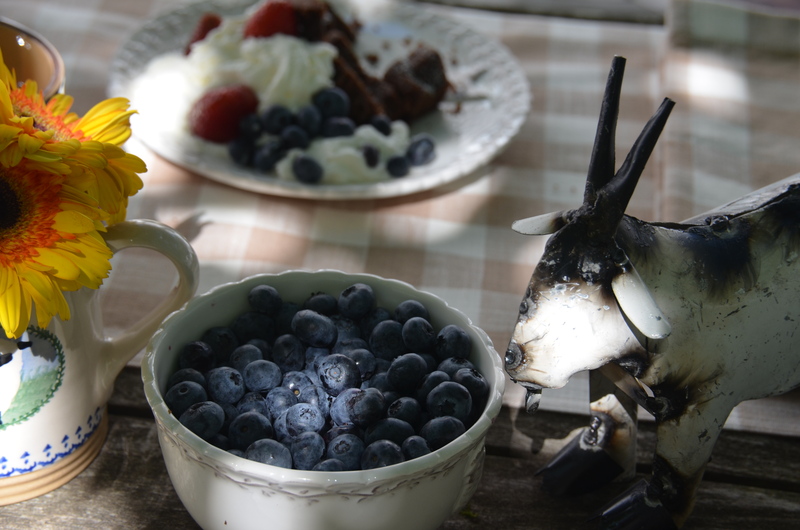 Strawberries, blueberries, and whipped cream! SOOOOO delicious!! Now I know the holidays are coming and we are watching our caloric intake (is there ever a break? if it isn’t swimsuit season coming it’s santa and his goodies! ), so I would suggest bitesize treats. Yum! Get one before they are gone! I hope you are drooling over this cake! 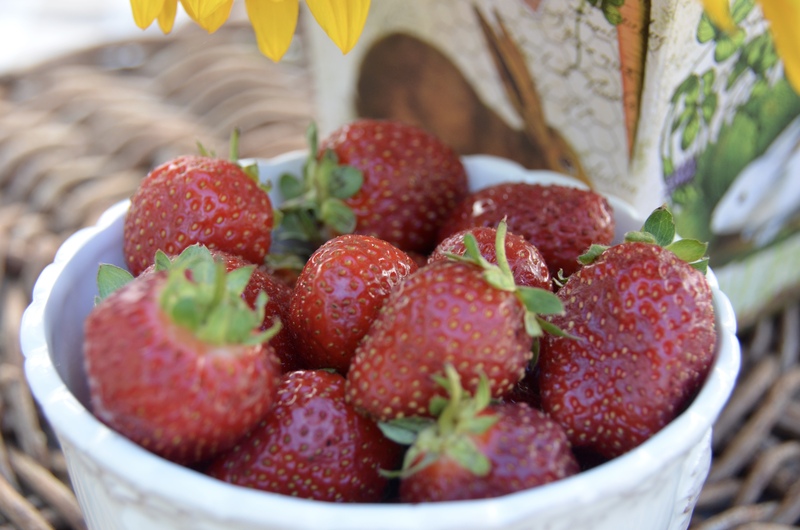 It’s delicious (and I’m telling myself nutritious….). See my Lucky Goat Kale Lasagna here. It’s also delicious! Find this fabulous pan here and this fun cookbook here. Your cake is gorgeous! I love that pan. I’ll wait for it to be half off at WS outlet. 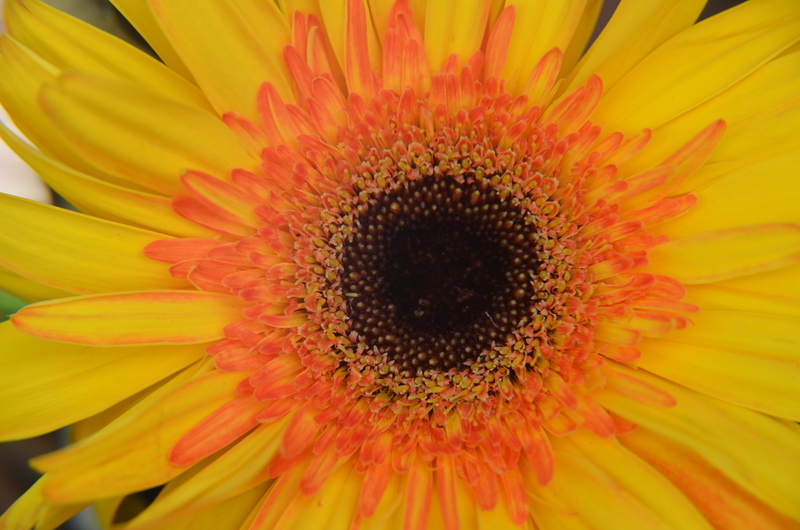 Your presentation is just lovely too. 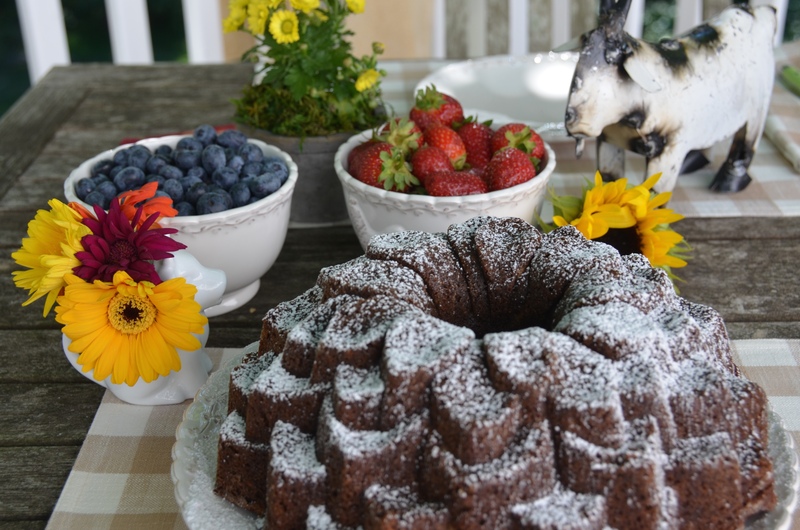 Happy Bundt Day ! Darn it! I missed it again! 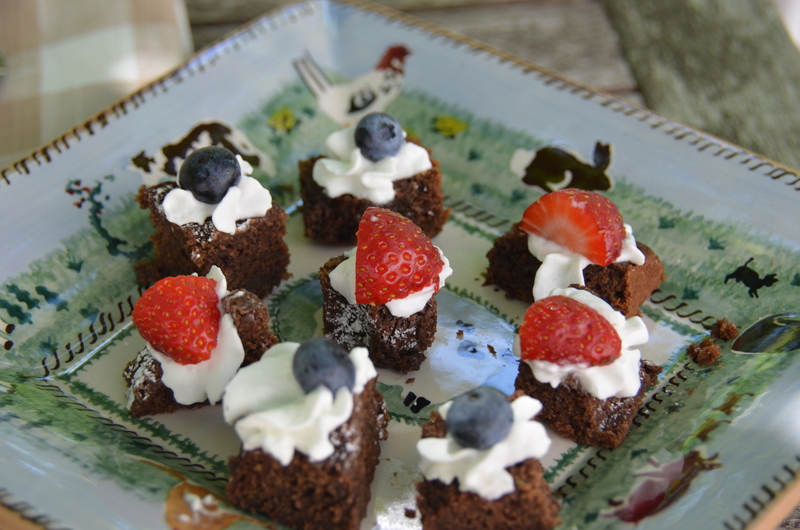 I had promised myself a post and a new recipe for this day, but I forgot all about it with my plans for the Italy trip. I’m in Siena right now, and I had the most wonderful slice of lemon pound cake for breakfast this morning, which would have worked nicely for Bundt Day. 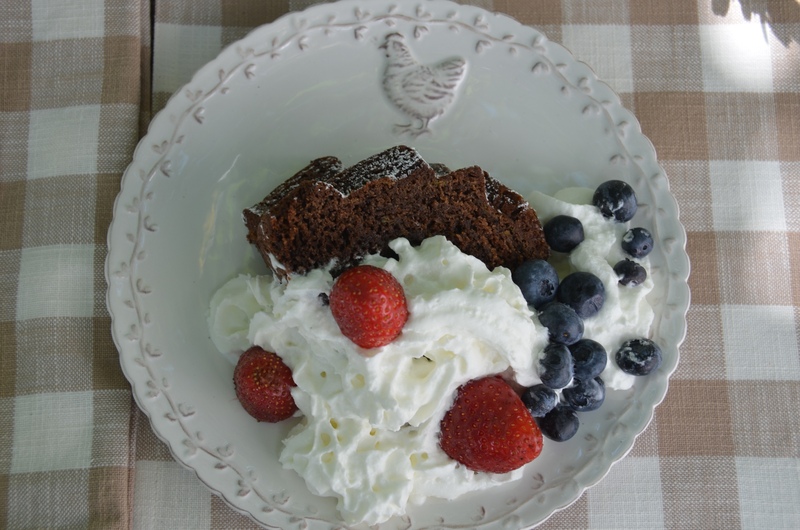 I’m enjoying your chocolate zucchini cake vicariously, and, of course it’s healthy! It’s got zucchini, right? I’m happy to see your Irish mugs again. Love them! Your cake is a show stopper Linda! 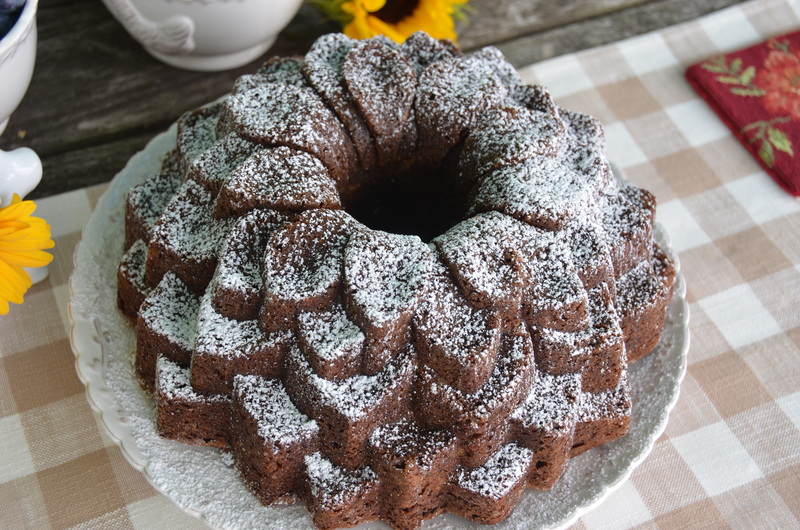 I have been thinking about buying a new style bundt pan, but do worry about the release factor of the fancier pans–looks like you found the perfect solution for mishaps! I ended up buying a snowman pan, which I am now regretting, I’m sure my snowman will be a hot mess, and how will I ever slice him?? Whipped Cream and berries make everything better, so I will keep this in mind! 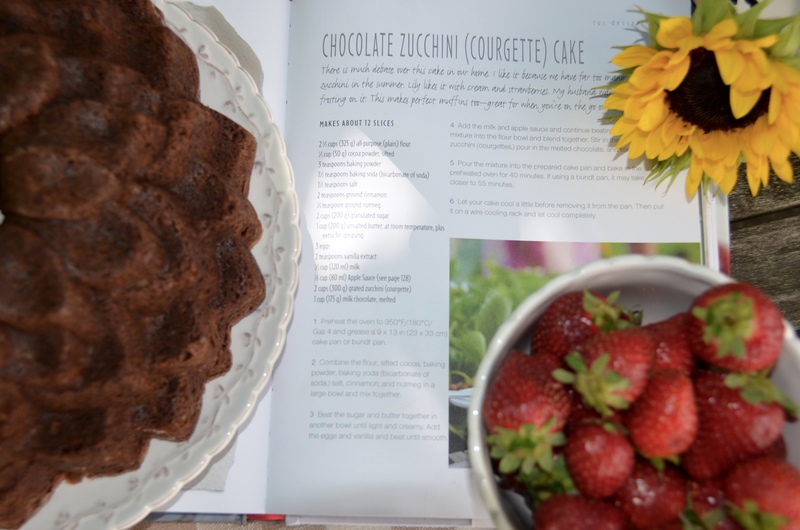 Yes, a cake full of zucchini qualifies as a vegetable in my book!